Samsung Galaxy S6 is compatible with T-Mobile GSM, T-Mobile HSDPA and T-Mobile LTE. To configure T-Mobile APN settings with Samsung Galaxy S6 follow below steps. Samsung Galaxy S6 maximum data transter speed with T-Mobile is 300/51 Mbps while T-Mobile is capable of speeds up to 301.5/100 Mbps. If the above T-Mobile Internet & MMS APN settings do not work on your Galaxy S6, make below changes to T-Mobile Internet & MMS APN settings to get T-Mobile US 160 on your Samsung Galaxy S6. If the above T-Mobile Internet & MMS APN settings too do not work on your Galaxy S6, make below changes to T-Mobile Internet & MMS APN settings to get Walmart Family Mobile via T-Mobile on your Samsung Galaxy S6. For Samsung Galaxy S6, when you type T-Mobile APN settings, make sure you enter APN settings in correct case. For example, if you are entering T-Mobile Internet & MMS APN settings make sure you enter APN as fast.t-mobile.com and not as FAST.T-MOBILE.COM or Fast.t-mobile.com. If entering T-Mobile APN Settings above to your Samsung Galaxy S6, APN should be entered as epc.tmobile.com and not as EPC.TMOBILE.COM or Epc.tmobile.com. Samsung Galaxy S6 is compatible with below network frequencies of T-Mobile. Galaxy S6 has variants G920F and G920A. *These frequencies of T-Mobile may not have countrywide coverage for Samsung Galaxy S6. Samsung Galaxy S6 supports T-Mobile 2G on GSM 1900 MHz. Samsung Galaxy S6 supports T-Mobile 3G on HSDPA 2100 MHz. Compatibility of Samsung Galaxy S6 with T-Mobile 4G depends on the modal variants G920F and G920A. Samsung Galaxy S6 G920F supports T-Mobile 4G on LTE Band 4 1700/2100 MHz. Samsung Galaxy S6 G920A supports T-Mobile 4G on LTE Band 4 1700/2100 MHz. Overall compatibililty of Samsung Galaxy S6 with T-Mobile is 100%. 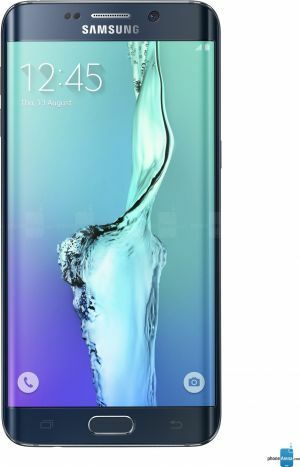 The compatibility of Samsung Galaxy S6 with T-Mobile, or the T-Mobile network support on Samsung Galaxy S6 we have explained here is only a technical specification match between Samsung Galaxy S6 and T-Mobile network. Even Samsung Galaxy S6 is listed as compatible here, T-Mobile network can still disallow (sometimes) Samsung Galaxy S6 in their network using IMEI ranges. Therefore, this only explains if T-Mobile allows Samsung Galaxy S6 in their network, whether Samsung Galaxy S6 will work properly or not, in which bands Samsung Galaxy S6 will work on T-Mobile and the network performance between T-Mobile and Samsung Galaxy S6. To check if Samsung Galaxy S6 is really allowed in T-Mobile network please contact T-Mobile support. Do not use this website to decide to buy Samsung Galaxy S6 to use on T-Mobile. I cannot download messages or pics, or send or download MMS, group messages do not come through. I cannot update PRL or Profile. My S6 phone was previously with CREDO using Sprint lines, my S6 bought from Credo, is an original Sprint phone. (Side-note: Credo is overpriced and their customer support is none existent when you have any problem. They did not unlock my fully paid phone when I requested this, it took 2 weeks and hours and hours of being on hold numerous times. I waited on hold over 2 hours one day 1:40 another, etc etc with no help). I continue to have the same problem. Mint has been useless in assisting me, they said call my previous carrier my phone could be partially locked, which reluctantly, I did and they were useless again, denying any cause could possibly be theirs. Since Mint uses T-Mobile lines, I troubleshooted on their site, and decided to try entering a new access point with T-Mobile's APN, and then I turned off the WiFi and I was able to download my messages, but each time I must turn off my WiFi go to settings, mobile networks and turn Mint off and T-mobile on, get it downloaded and then change it back. It's time consuming and frustrating and utterly RIDICULOUS! I still get this error message: power off your device insert service provider UICC that came with the device then power on the device", of course this does not work. I cannot update my profile or PRL without getting the same message. I have spent so many frustrating days and hours on this, wasting my time and neither company will resolve this. It's absurd that when I search for resolution of this issue, this it is not isolated, there are so so many from years ago, and mainly with Sprint phones. The problem must lie with Sprint, but someone in the tech world should have been able to resolve this, since Sprint obviously refuses.